Summer is over and autumn brings cooler temperatures, rainy weather and changing leaves. During the heat of summer we tend to eat healthier and get more physical activity. The weather is nice, we want to be outside enjoying it! (Not to mention the thought of putting on a bathing suit can be a motivator in itself). Although the cozy season of fall entices many of us to enjoy a diet of comfort food and reduce the amount of exercise we get, it is important to maintain a healthy lifestyle year round. Here are a few things you can do to keep your body feeling great through fall and into winter! 1. Eat seasonal, nutritious foods. We all want to indulge in the pumpkin-flavored foods and creamy soups that are so “fall”, but make sure to keep your diet healthy and balanced. Include fruits and vegetables that are packed with vitamins. Seasonal favorites include apples, butternut squash, dark greens (spinach and kale), Brussels sprouts, pomegranates, pears, cranberries, figs, pumpkin, sweet potatoes, cauliflower and so much more! 2. Enjoy the outdoors! Although the weather may have a crisp chill in the air it is a beautiful season for exploring your neighborhood and getting outside. Enjoy a nice walk or run, go on a hike and enjoy the foliage, or just head out to the farm for a day of apple picking or to check out the pumpkin patch. 3. Learn a new hobby/skill. Fall is a great time to learn something new. Have you been wanting to try yoga? Interested in trying ballroom dance? Look around at the schedules of fitness or community centers for a class that interests you. 4. Make exercise a part of your life. Even if your daily exercise routine has changed due to school schedules, after school activities or a busy work schedule, you can make activity a part of your day. Walk up the stairs instead of taking the elevator, park farther from the store entrance, take a walk during lunch. 5. Bump up your immune system. Cold season is coming! Prepare by frequently washing your hands, getting enough sleep, exercising and eating healthy. Stress can make you more susceptible to illness, make time to relax. 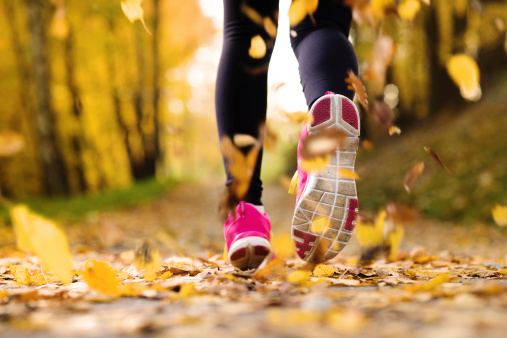 Follow these simple tips for a healthier fall season. Do you have another healthy fall tip to add? Share in the comments below.